CAREFUL IT'S LOADED! 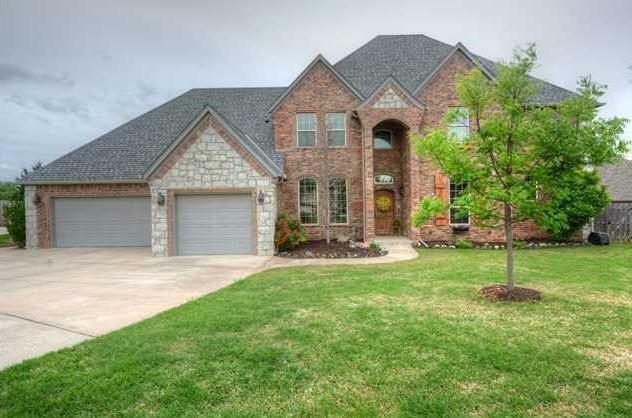 Enter into this beautiful 4 bedroom home with the Master Suite downstairs and 3 beds up! Walk into the "mud room/utility " with a bench, sink and folding counter plus a flex room perfect for exercise, pet room, another office. The spacious master retreat has a jetted tub, walk- in closet and outside door leading to the patio and pool area. A lovely red cedar pergola, solar screens, and roof top finials were recently added by Sellers. A study comes with built-in bookcases, closet and french doors. Kitchen is located between formal dining and kitchen dining. It comes with a center island and prep sink, ice maker, double ovens and a great view of the gorgeous salt water pool. Upstairs you'll find a full blown media room and a mini bar-plus another living area with a balcony overlooking the resort style backyard with wrought iron and red cedar fencing. The pool has a huge heavy duty slide and a water fall. Call to see it now. Garage has a storage room.